Everyone learns differently. Often, we face difficulties because we haven’t picked the best strategies to support success when it comes to learning a foreign language. However, by choosing the best strategies, we can sidestep confusion and error while avoiding lost time. This can boost up our efforts and lead to rapid foreign language fluency. These are five steps you can take to support your success as you try to learn another language. A fair bit of warning, this can be an expensive strategy. You will be hiring someone to personally help you with your language learning. This coach will work with you to teach you the target language. The benefits of having a personal tutor is that he or she can sit there with you, making sure you’re learning the target language every step of the way. You’re not being corrected by this person; instead, your tutor is a guide, leading you to fluency by providing. You with proper exemplars that illustrate success on your path to fluency. It’s best if this person is a native speaker and is someone who’s not afraid to let you know where your weaknesses are. You’ll also want someone who is stringent in sticking to the plan of helping you becoming fluent. One important note to make, this can be risky if the tutor is not a good teacher or has bad habits that will interfere with your progress. Translation is a significant part of language learning. Moving specific phrases and words back and forth between languages helps you see how sentences come together while providing a detailed guide to how grammar works for the target language. While this does tend to be utilized more in academic systems, it is a good way to gain fluency through decoding the target language. There is one major drawback to this method, and that is the lack of emphasis on speaking and listening. You’ll be primarily focused on the reading and writing aspects of a language. Many people tend to lean towards one side of the spectrum or the other in terms of which strategies they use, but it’s best to incorporate multiple methods to ensure success. Otherwise, you’ll feel as though your efforts are in vain when you attempt to talk to a native speaker and struggle understanding and find the words needed to reply. There’s a saying about “10,000 hours.” It’s the idea that after spending 10,000 hours with a certain skill, you’d be a master at it. While not meant to be taken literally, there is truth in its overarching concept. The more time you spend with something, the better you will be at it. Your focus will be 10,000 sentences and learning them. It’s a different spin on “comprehensible input,” but you’ll essentially be familiarizing yourself with 10,000 sentences in your target language. You can create a stockpile of 10,000 common phrases or sentences that you experience in your target language on a regular basis. Then you’ll expose yourself to it while referring to the translated version (typically on the other side) until you master the sentence. The belief is that by the time you’ve mastered the 10,000 sentences, you’ll have achieved fluency. There are downsides to this process. It can be tedious, looking for sentences can take up time and translating them can be a pain as well. But the goal is always exposure to the language. Remember to use the methods you enjoy. Read the text in your native language: You’ll begin by reviewing the text so you’re familiar with it as you transition to it in the target language. This helps avoid confusion when you move onto the next step. Read and listen to the text in the target language: You’ll again read the text, but now in the target language. Having audio is key to support proper listening comprehension and pronunciation. Read the text in your native language while listening to it in the foreign language: This is the last step and presumably the most engaging as it will involve global brain use. You’ll be listening to the text in the foreign language as you expose yourself to it in your native language, allowing you to see the languages together. One weakness with this learning strategy involves the tendency for users to switch to passive listening. You’ll need to be actively engaged with a text to maximize your learning. Also, choose materials you’re familiar with, you should have a general understanding of plot or what’s being discussed as your primary focus is on language acquisition. Language shadowing involves listening to native speakers and following along as they talk about issues. During language shadowing you’ll be asked to repeat or answer questions at certain points in the shadowing. 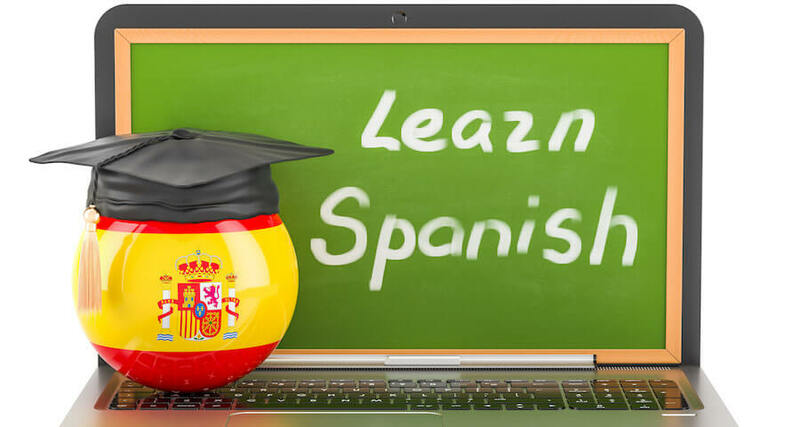 If you’re looking at how to learn Spanish, then this method is great because it allows you to hear native speakers speak in the target language with perfect pronunciation. You’ll listen to a native speaker talk while listening and repeating. It helps to have a transcript of the conversation as it will boost your reading abilities as well. You’ll be more engaged and remember more, plus you’ll be able to apply those language skills to other interactions. And because these are everyday conversations, you’ll add more phrases and common words that you’ll easily be able to use on a daily basis. You’ll need a transcript, however, and not having one will interfere with your ability to fully benefit from the program, so keep that in mind. It helps to see the words your hearing so you can recognize them in the future. There is not proven superior way to learn a language. They all have positives and negatives. At the end of the day what matters is your ability to interact with the strategy and learn from it. If you hate certain aspects of one strategy, you still have others that will work better for you. The key is to stay positive and remember that discipline and consistency contribute just as much to fluency as using the right language learning platform. There is a great deal of programs out there to help you. Language learning with OptiLingo is one designed to engage you while providing you with strategies that will optimize your language learning success. The more strategies you use, the quicker you’ll achieve fluency in the target language.